The conference aims to raise awareness about Cyprus as a global business and investment destination to a wider investor audience through a prestigious, high caliber, high impact event in New York City. 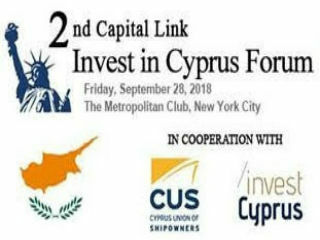 Capitalizing on the long established track record of organizing highly successful large scale investment conferences in major industry centers around the world, the “2nd Capital Link Invest in Cyprus” Forum will be held on September 28th 2018, at The Metropolitan Club in New York City. The Forum is organized at the initiative and active support of the Cyprus Union of Ship-owners and in cooperation with the Cyprus Investment Promotion Agency. Hellenic Bank is the Lead Sponsor, while Deloitte and EY are the Grand Sponsors. 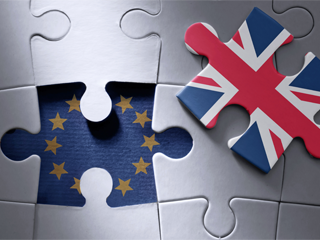 It will feature the developments and reforms in the Cypriot economy and the Cypriot government's program for the economy and investments. The event provides a high level informative platform for the US investment, financial and business communities on the investment and business opportunities, including opportunities arising out of the oil and gas exploitation at the Cypriot Exclusive Economic Zone, with Cyprus enhancing its position as an energy, shipping and logistics hub.